Summary: Looking for a simple way to export all data from your Xiaomi phone(s) to computer? 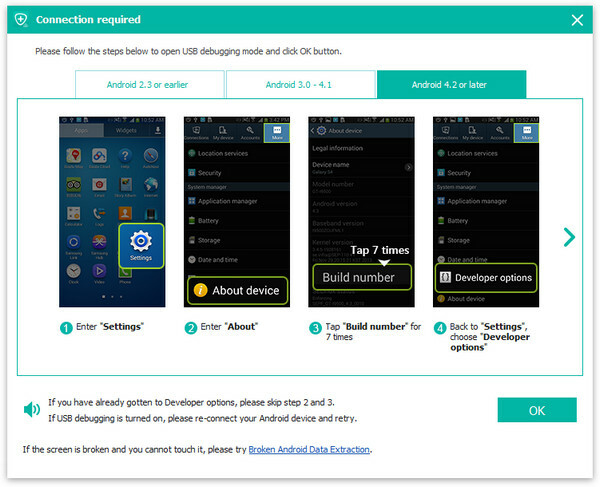 This article will tells 3 simple and effective ways for you to transfer all data including contacts, SMS, photos, videos, call logs and more from any Xiaomi smartphones ant tablets to PC. Not long ago, according to data sent by international research institute GFK, Xiaomi Mobile China's sales reached 50.94 million units, ranking behind Huawei, OPPO, vivo and Apple, becoming the fifth place in China's domestic mobile phone market. The international sales of Xiaomi mobile phone is 40 million units. In other words, in the past year, Xiaomi mobile phone sales accounted for over 40%! If you want to ask what is the most classic phone in Xiaomi? I can only say that each has its own merits. For example, Mi 8(se), Mi Mix 3, Mi MIX2s, Mi Mix 2 and so on. As a heavy user of mobile phones, the importance of mobile phones to me is self-evident. There are many personal data in my Xiaomi phone, such as photos, call logs, contacts, videos, etc.. But I worry that the data will be lost. To be on the safe side, I need to transmit data from Xiaomi phone to the computer in advance. What should I do? Please don't worry. We will tell you three simple ways to solve this problem below. 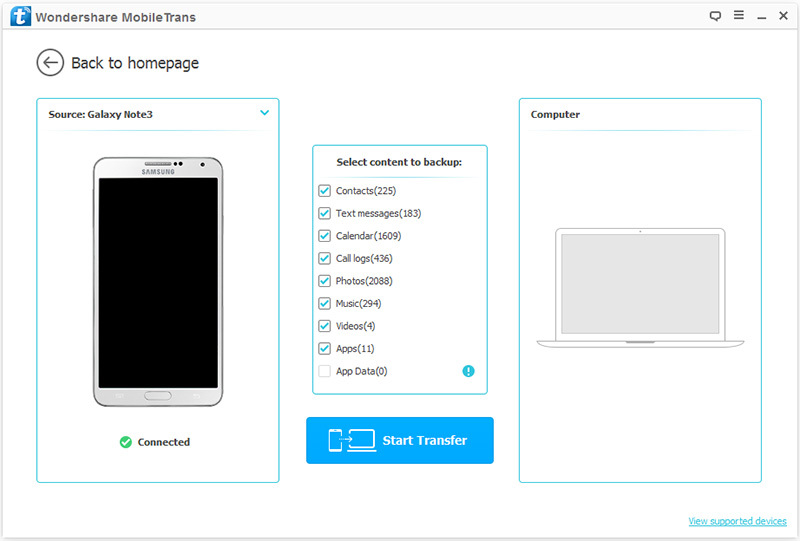 Mobile Transfer is a practical and interesting data transfer software. You only need to click a few clicks of your mouse, you will be able to achieve the purpose of transfer data.With this software, you can back up all data (including contacts, text messages, photos, videos, calls, music, music, apps, calendars, etc.) from Xiaomi phone to your computer in a few simple steps. The most important thing is its security. During the use of mobile transfer, backing up mobile data will not cause any damage to the mobile phone, nor will it modify the data in the mobile phone. So you can use it safely. Step 1. Please download and install Mobile Transfer on your PC in advance. And then, run it. 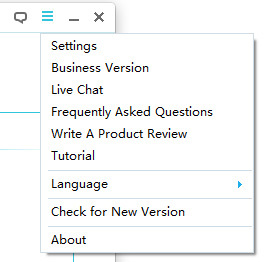 At this point in the program's main interface you can find that there are four functions, please click on "Back Up Your Phone". Step 2. Now, you need to connect your Xiaomi phone to your computer, so you need to prepare a USB data line. The phone successfully connected to the computer, the program interface as shown below. Step 3. When the program detects your device, you can see the following window. Intermediate display is data type, such as contacts, photos, videos, text messages and so on. Choose some of them according to your actual needs. Then click on the "Start Transfer" button to begin transferring the selected contents to your computer. 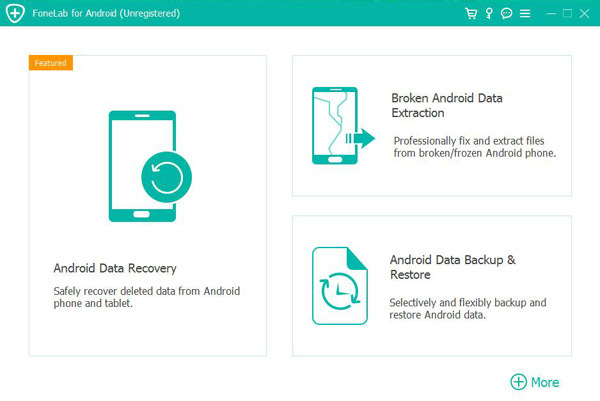 Android Data Backup & Restore is a well-known data recovery and management tool that can not only recover deleted and lost data directly from any Xiaomi device, but also easily backup and restore your Xiaomi phones data. 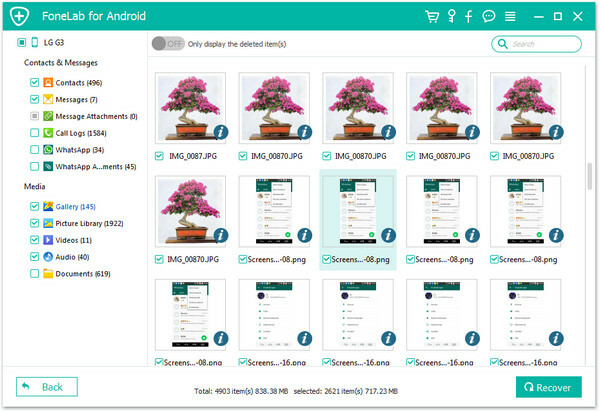 Therefore, with this tool, you can easily backup data including contacts, text messages, photos, videos, call logs and so on from Xiaomi phone to computer. Step 1. First, please download and install the program on your computer. If it is finished, run it. 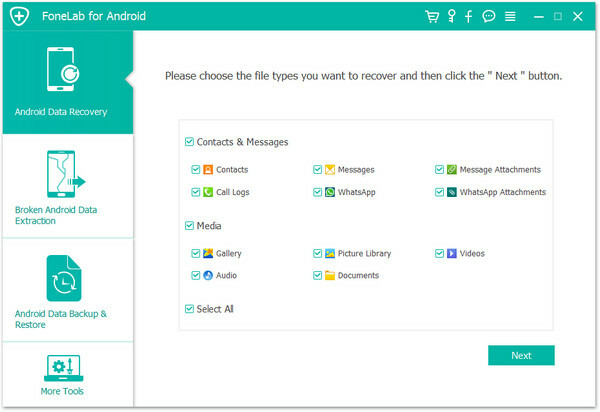 You will see the following interface, please choose "Android Data Backup & Restore" to go on. Step 3. 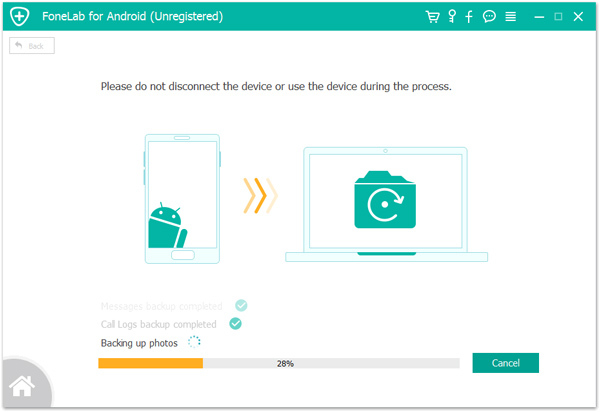 When identifying your phones, you can choose the "device data backup" or "one-click backup" option to backup files. 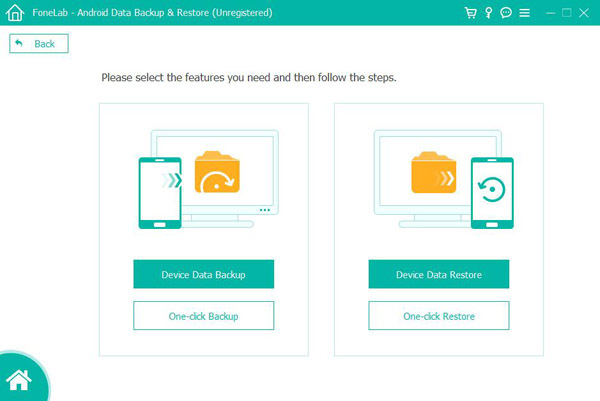 Note: If you want to backup all data, you can choose "one-click backup" mode or "device data backup" mode to backup any data you want selectively. Step 4. When everything is ready, please click on "Start" to begin backing up your data from Xiaomi phone to computer. 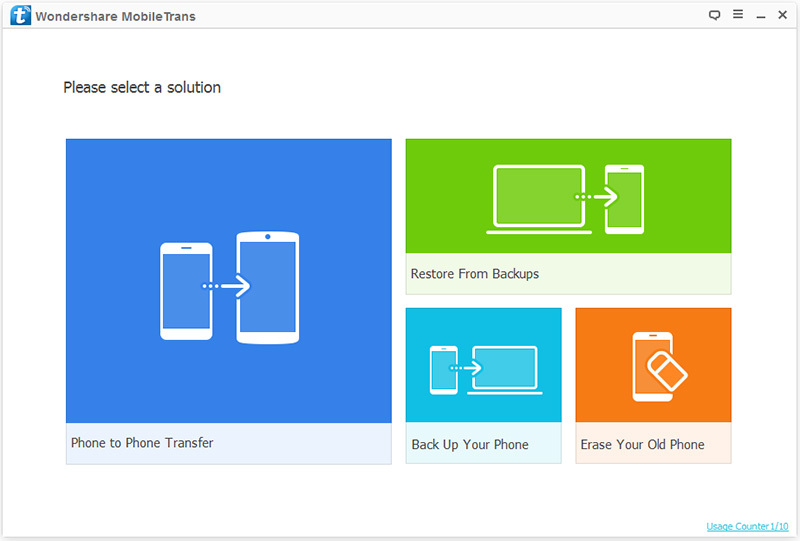 In addition to Android Data Backup & Restore, you can also use another feature of the Android Data Recovery software to implement data transfer. With the help of this feature, you can easily extract all the lost and existing data including contacts, text messages, photos, videos, call logs, audio, WhatsApp messages and more from your Xiaomi phone to computer in a click. Step 2. 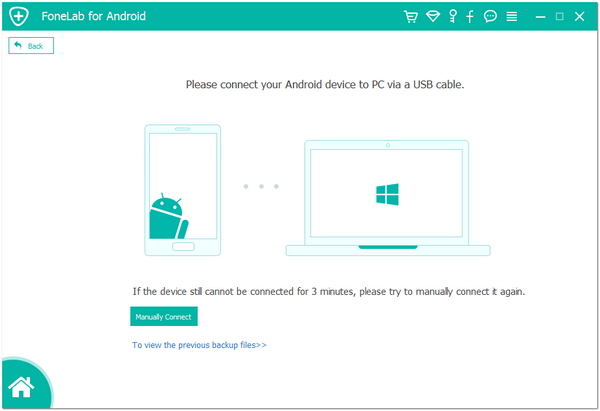 Connect your Xiaomi phone to computer by using its USB cable. Please ensure that you've enabled the USB debugging on your phone's screen so that the program can detects your device soon. Step 3. Select the file types that you wan to scanned and press "Next" to go on. Step 4. When the scan is completed, click to preview and check those whatever you needed, then click on "Recover" to save them to your computer.